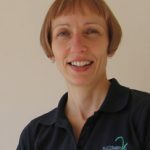 Bowen works on the soft tissues of the body; muscle, tendon, ligament and connective tissue known as fascia. It aims to reduce tension in these tissues which results in lower pain levels, increased range of movement and less stiffness. Although the Technique is most commonly used for physical symptoms such as pain, injury and stiffness, it also works on a more organic level, helping with stress and anxiety led conditions. It is suitable for all age groups and all people. Due to its gentle nature Bowen can be very beneficial in supporting people with life limiting illness as well as those with long-term conditions or alongside pain management strategies. There is no deep pressure or manipulation, rather the technique uses a series of precise rolling-type moves to stimulate the body to heal itself. The treatment is extremely relaxing which encourages the nervous system to ‘let go’ helping us to relax and experience better sleep. Registered for Bowen Therapy and Reflexology with the CNHC, the Complementary and Natural Healthcare Council, Member of the Federation of Holistic Therapists, and Member of the Bowen Therapy Professional Association.